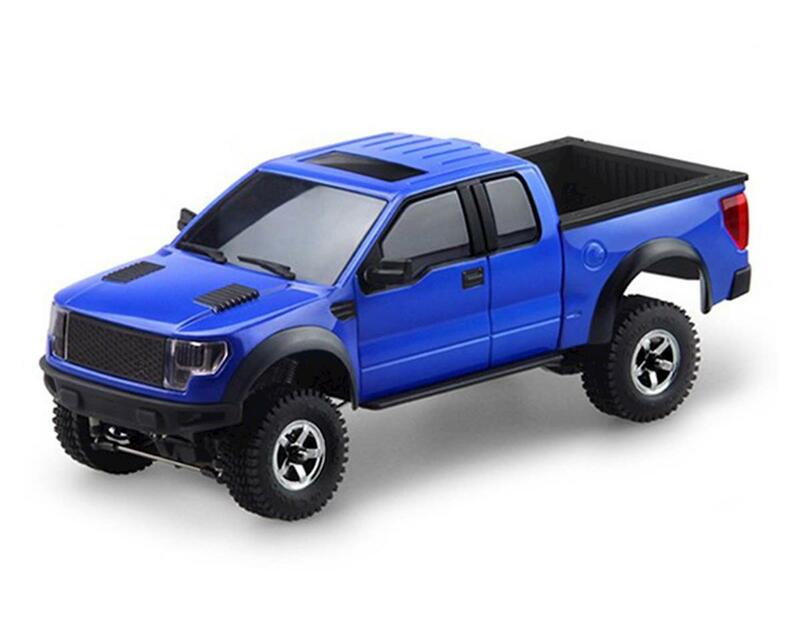 This is the Orlandoo OH35P01 1/35 Micro Crawler Combo Kit with an included F-150 hard plastic truck body. 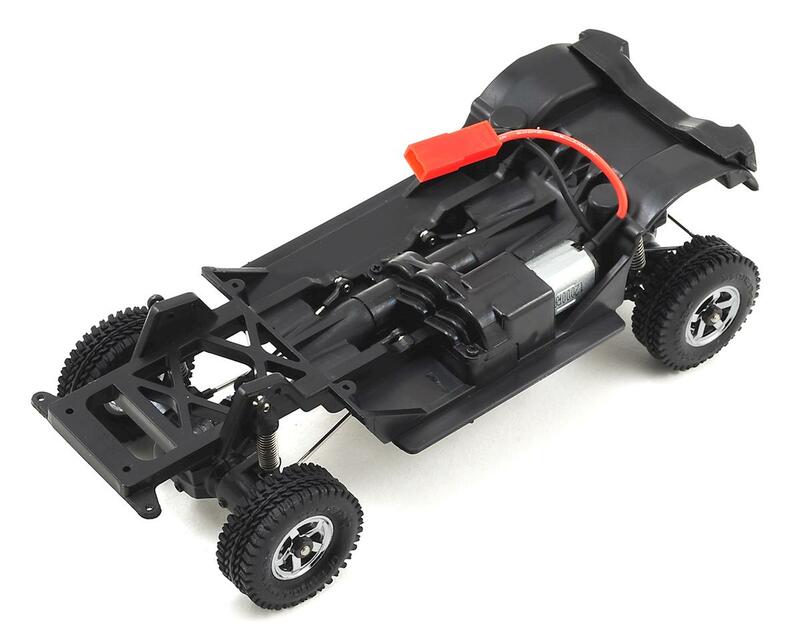 The OH35P01 is a detailed scale 4WD micro crawler kit, marketed as a cellphone-sized crawler. The crawler features a highly detailed body, super soft scale pattern tires, scale axles and chrome mag wheels. But don't let the micro size fool you! This little crawler sports functioning front and rear four-link suspension, friction shocks on all four corners and enough axle articulation to make this rig a true scale performer. NOTE: The OH35P01 is an unassembled kit and assembly is required. This kit is not recommended for beginners. Kit requires the user to drill ball stud mounting holes in the chassis and axle link mounts. Building experience is highly recommended. Drill bit and pin vise are included. Kit assembly may require a few holes to be drilled and some parts may need to be slightly sanded or trimmed to get a perfect finish. First time builders should not attempt assembly without the guidance from an experienced modeler. 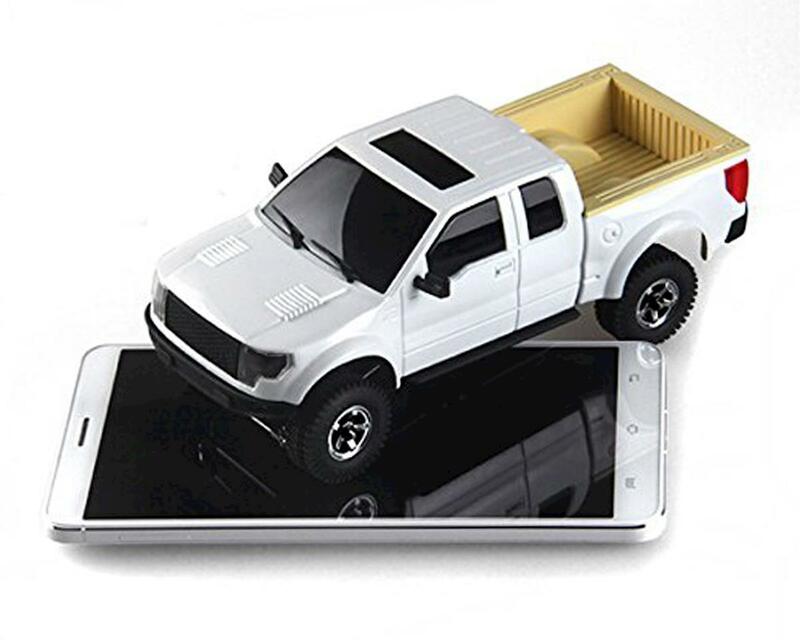 Complete and painted truck shown for illustrative purposes only. Assembly and painting required. When using the D4L Radio system, a PH2.0 to Female JST adapter is required to connect a JST battery to the receiver.